WURFL Microservice - Basic is a Device Detection framework that identifies smartphones and tablets visiting a website with 13 device capabilities. Integrate via .NET and achieve 99.9% accuracy. Best suited for mobile optimization, E-Commerce, or any site needing a great mobile UX. The WURFL Microservice - Basic AMI delivers highly accurate device intelligence to enterprises embracing a microservice architecture. Integrate WURFL Device Detection capabilities (see Resources) into applications. 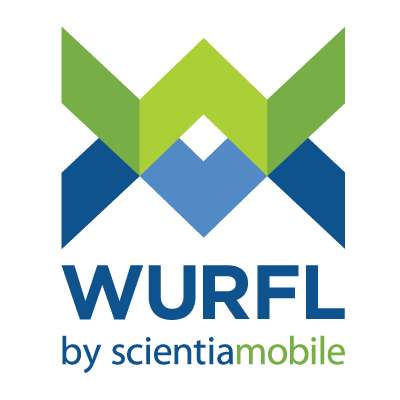 Not only is WURFL the most accurate solution in the industry (99.9%) with weekly updates of its device library, but it also has the most complete library with over 54,000 devices. WURFL delivers fast, multi-threaded performance that effectively scales on multi-core EC2 processor servers. WURFL Device Detection is adopted by world-class Internet players such as, among others, Google, Facebook, and AWS. Select one of our AMI editions to meet your business needs. Geared at mobile UX professionals. Add real-time device detection to your website. Ensure that content, navigation and UX (user experience) are tailored to the device and its capabilities. This will result in faster load time and better usability across devices and browsers. Achieves 99.9% accuracy in device detection via automatic weekly updates of library containing 54,000 device models of smartphones, tablets, desktops, smartTVs, and game consoles. Basic set of 13 WURFL Capabilities (see Resources). Ideally suited for mobile-optimized applications. Delivers high speed device detection suitable for large enterprises, advertising networks, and e-commerce sites.